When you think about feeding dogs, what pops into your head? Money? Good Nutrition? Health Problems? Food Recalls? How worried are you about providing a high-quality healthy diet? It seems that everyone has an opinion on the subject. 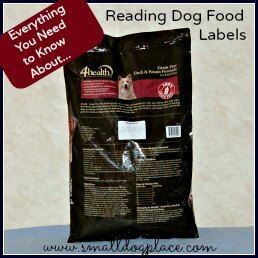 Moreover, just how is someone to decipher those dog food labels? Should I cook for my small dog or buy a food ready to serve? Do I need a diet that includes premium, holistic brands, or those that are all natural or organic? Maybe it should be grain-free? Should I choose one type and stick to it or rotate foods?Will I even be able to afford those high priced diets? What’s the average pet owner to do? We had this dilemma and started a little research on our own. Hopefully, we can answer some of your questions and provide relevant information even if you do not even know what questions to ask. 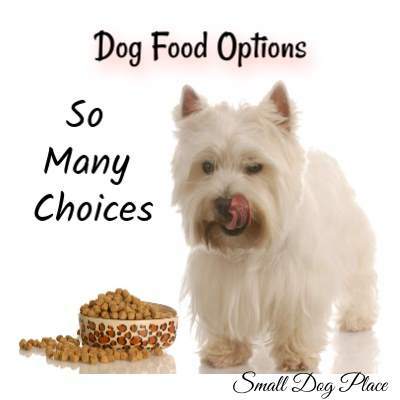 What are some critical factors when choosing dog food for your small dog? Five factors every small dog owner should take into consideration when choosing a small breed food for their dog. Feeding a small dog is not like feeding a large or giant dog breed. Do you know what the differences are? Keep reading to find out. If you make the decision to go with a commercially prepared diet, you will then need to choose which one to buy. Commercially prepared dog foods come in several types including dry kibble, canned, (moist or wet) semi-moist and raw (frozen). Each type has its pros and cons. Which one is best for you? Homemade Dog Food Diets: Are They Nutritious? 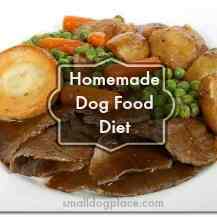 Can one prepare a homemade dog food diet that is complete and balanced for the nutritional needs of a dog? 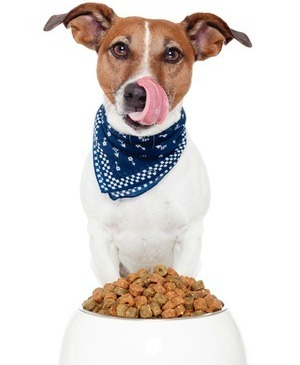 You may be able to, but before you take your dog off of his commercial kibble, read this study, and learn what you should do to assure a quality well balanced diet for your dog. 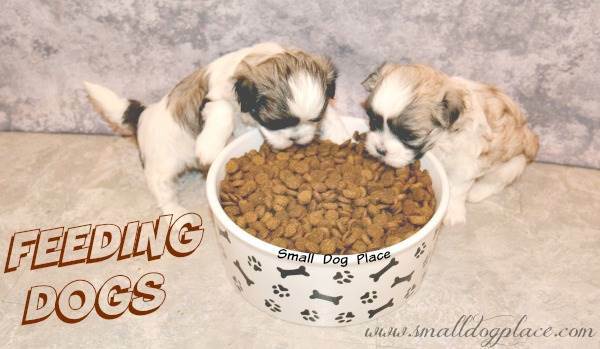 Feeding Dogs: What are the Nutritional Needs of Small Dogs? 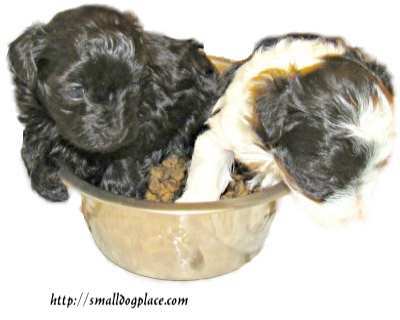 It might surprise you to know that small dogs have different nutritional needs than large dogs. The nutritional needs of all dogs are different from ours. All dogs need a balance of protein, fats, carbohydrates, minerals, vitamins and trace elements. Beyond that, it gets a little more complicated. Find out what your dog needs. 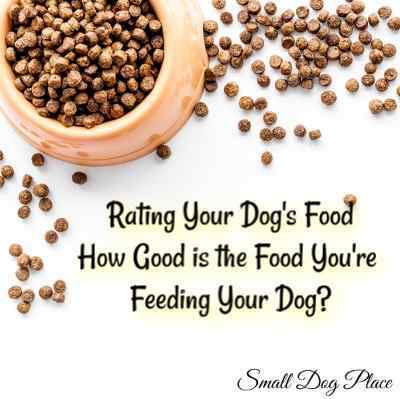 Rating Your Dog Food: How Good is the Food You're Feeding Your Dog? Is it possible to evaluate one dog food over another to get an idea whether you are feeding an adequate diet? YES. There is a scale developed by Sarah Irick, a Great Dane owner, dog rescuer and engineer who wanted a way to evaluate dog foods based on a set of quality measures. Learn how you can use this scale to determine where your dog food rates for quality. There is an enormous difference between a high quality commercially available dog food and a poor substitute for food. Find out which foods are the best, which are OK, and which ones you should avoid. A growing list of dog foods and how they are rated. 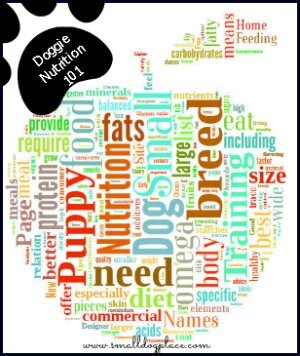 Do you know how to evaluate puppy foods? There are both excellent products on the market and some that you should never feed your puppy. Find out how to look at food and determine if it is going to provide your puppy with all the nutrition he needs for a healthy start in life. 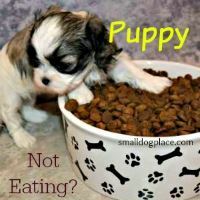 Feeding Your Puppy: What, When, and How Much? Feeding your puppy can be a wonderful way to bond, but there is more to it than that. Experts agree that there are some "best practices" when it comes to feeding a puppy. Start off right so you will not need to correct mistakes later on. Learn when to feed and how much to serve. Learn about nutrition and what treats to offer your small dog. Dogs have unique requirements, and many of the foods we eat are very dangerous to your dog, even lethal. You might think a sip or a bite will not hurt, but remember the size of your small dog and please refrain. Never feed your dogs these foods. Fortunately, you do not need to understand every word but you should be aware of what you are putting in your little dog’s stomach. This quick course will help you better understand what ingredients are in your small dog’s diet. Reading claims on some dog food packaging, one might assume that the food is highly superior to everything else on the market. Superfood, Natural, Real Chicken, Farm Raised Fruit. However, what do those claims actually mean? Clever advertising can trick even careful consumers. Should you feed a meal or let your tiny dog snack all day. If you choose to serve meals, just how many are we talking about and when should these meals be served? 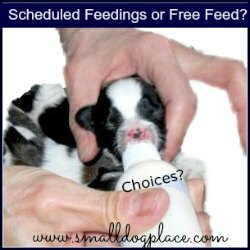 There are pros and cons to Free Feeding as opposed to Scheduled Feeding. Feeding an Organic Dog Food? 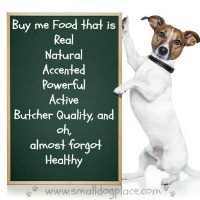 Should you be choosing an organic or natural dog food for your small dog? Are there benefits or downfalls to this type of diet? What exactly is an organic pet food and how can you determine if the food you are serving is organic? 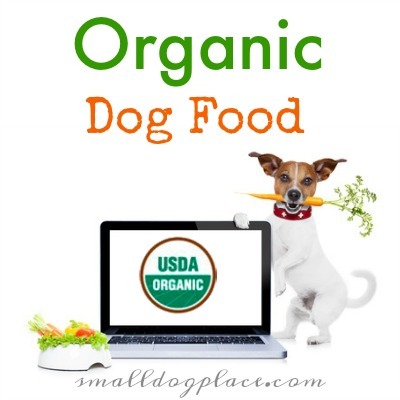 A quick but thorough review of organic dog foods. Is a grain-free dog food diet better for your dog? 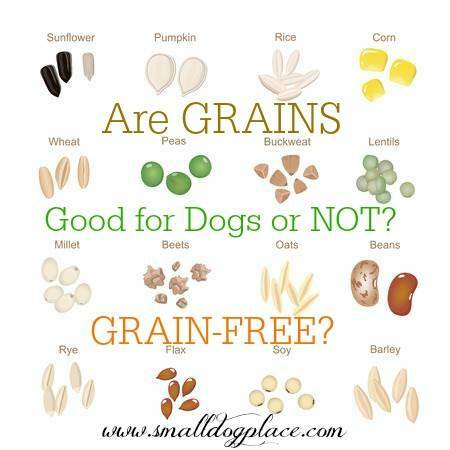 Many people think so and many of the premium dog foods offer one if not many different formulas of grain-free foods from which to choose. What exactly does it mean to and why should you even care. Feeding Dogs: What Vegetables are Safe for Dogs? Dogs are omnivores meaning that they eat meats and vegetables. Not all vegetables are good for dogs, but many add nutrients to the diet and provide a tasty treat. 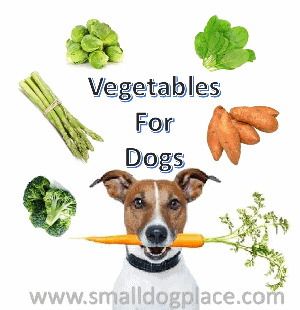 Find out which vegetables you should be feeding your small dog. What Fruits are Safe for My Dog to Eat? 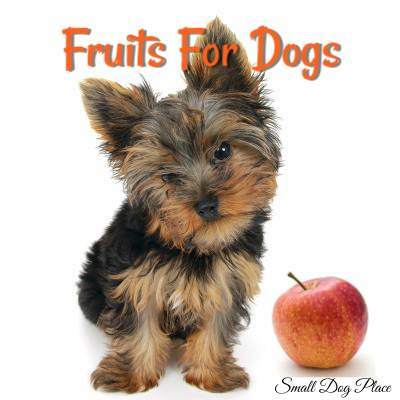 We may make the mistake of thinking that a fruit that we love will also be safe for our dogs. While most fruits are safe and nutritious, there are some that can be harmful if not dangerous to dogs. Find out which ones are safe and which ones to avoid before you make a lethal mistake. 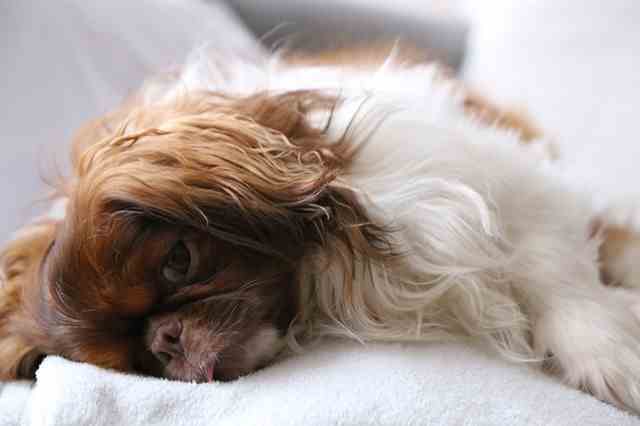 There are at least seven signs your dog could be suffering from a poor diet. Many of these symptoms may also be due to other illnesses, but if you notice one or more of these signs, it is important to consider nutrition as a possible cause. 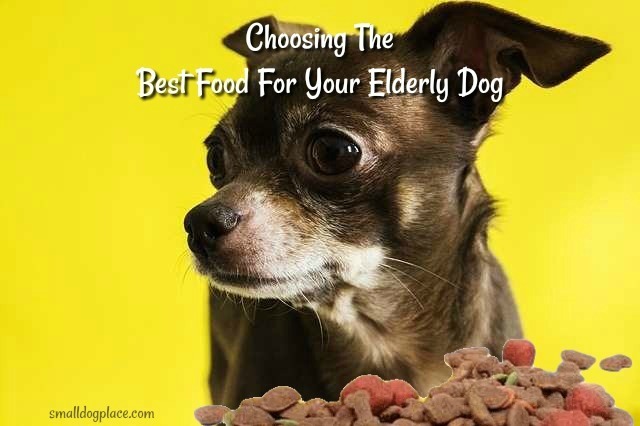 What is the Best Food For Your Elderly Dog? The aging process is a reality that (unfortunately) all beings have to face. For everyone, the diet you consume as you age is going to evolve to reflect the changing needs of your body. Especially for dogs, their increasing age has a significant influence on their nutritional needs. Tiny dogs can also become picky eaters and finding a diet that they will enjoy becomes a frustrating task. Of course, the opposite is also true—those dogs that like to eat too much becomes overweight and even obese. Some eat odd things and some eat fine but then react poorly to their diet. 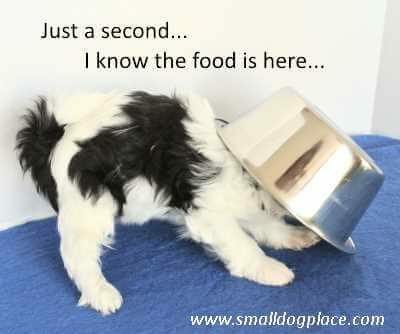 Many small breed dogs seem to have their fair share of feeding problems. Knowing how to prevent them is the easiest route to take, but what if you have a dog that develops problems as they age? Is your puppy or dog refusing to eat? Some dogs are more picky than others, but not eating at all is a sign of illness. If your dog is not eating, you may want to check out this article to find out whether it is a health or behavior problem. Some dogs tend to be underweight for various reasons. 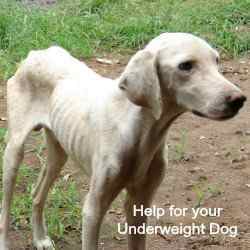 An underweight dog is not a healthy dog. Learn what it takes to turn an underweight dog into one with a healthy weight. Still others will find strange things to eat if given the opportunity, some of which can be harmless, but others that can be potentially deadly. One example of a bad habit some dogs develop is that of eating feces or to use the technical term, coprophagia. 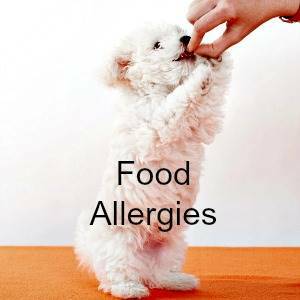 If your dog is showing signs of allergies such as scratching, chronic ear infections, skin problems or upset stomach, they could be suffering from a food allergy or sensitivity. But there is hope for conquering these symptoms.